No big deal. 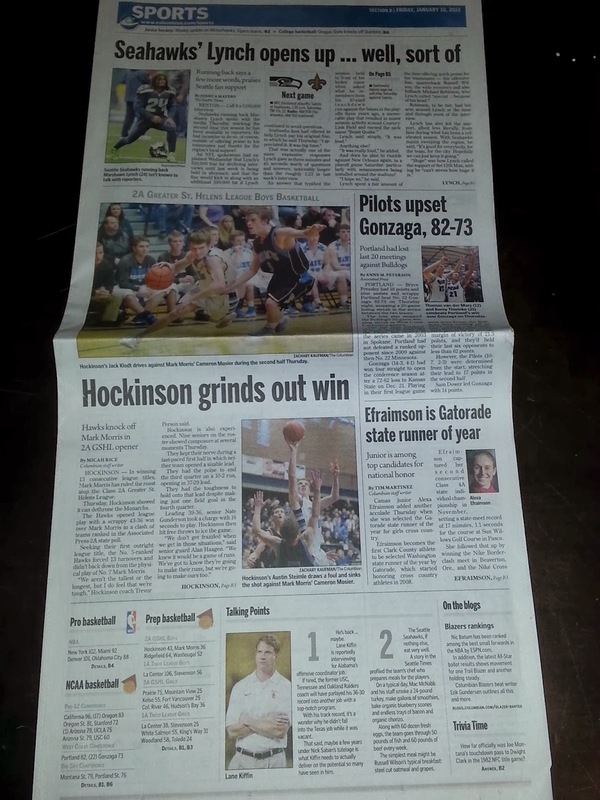 The Pilots beat Gonzaga for the first time in 10 years and we only get a slight blurb on the front page and a hidden column in the bottom left hand corner of the Sports section?!? 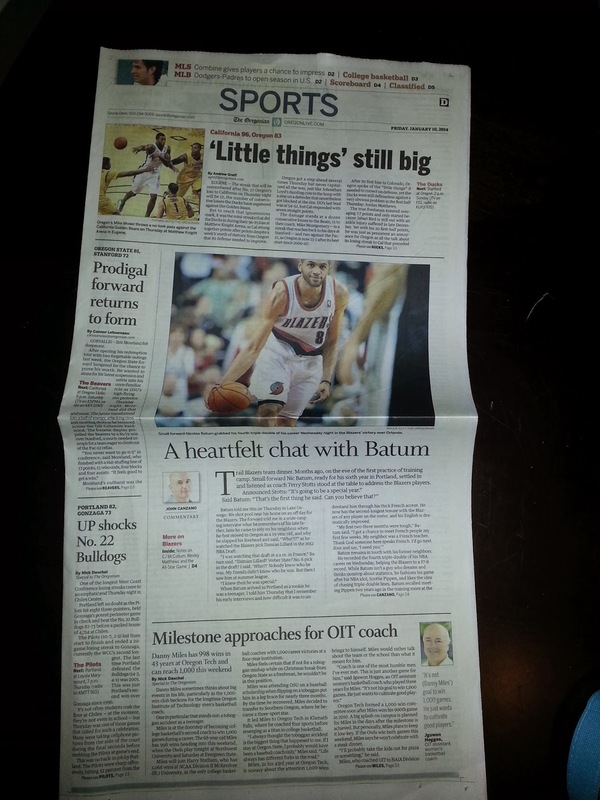 They didn't even put us above the fold! You're on my list Oregonian! At least our neighbors from the North decided to put us mid-fold. Gonzaga was ranked after all!